1. Why Charleston Angel Partners? Charleston Angel Partners is the area’s most established angel network, with an emphasis on early stage equity investment. 2. I’m a company, can I pitch? 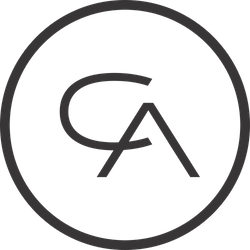 Charleston Angel Partners seeks early stage companies with high growth potential that are run by quality teams offering innovative solutions to large market problems. Typically, these companies are seeking an investment of $250,000 to $2,000,000. However, this is not required to pitch. Learn more about pitching to Charleston Angel Partners here. 3. I’m an investor, can I join? Charleston Angel Partners considers membership for those who are accredited investors as defined by the SEC. Charleston Angel Partners members are expected to be interested in early stage companies, and are encouraged to attend events to be a resource both for the group and for the companies that pitch. 4. What is the vetting process for a company applying to pitch? After submitting to pitch online, companies receive an email with recommended presentation tips and due diligence package expectations. After an initial phone call with an Executive Administrator to review viability, a company may be asked to come pitch to Charleston Angel Partners members. After a 15-minute presentation and a 15-minute question and answer session, Charleston Angel Partner members will decide whether to pass, track, or pursue a company. 5. After pitching, what is the due diligence process that the companies undergo? If Charleston Angel Partners elect to pursue a company, a diligence team of three to five Charleston Angel Partners members will complete a full diligence report. This report will analyze sales projections, financial operations, background of team, product, IP landscape, competition, market, and deal terms. In addition, the diligence team may request access to team members, customers, code, or product specs during this process. After the report is presented to members, individual investment decisions are typically made within one week. 6. Are Charleston Angel Partners members anonymous? Yes—if he/she would like to be. Investors can opt to be as public or private about their involvement with Charleston Angel Partners as he/she chooses. However, investors can rest assured that investment contributions are always kept anonymous under the entity of Charleston Angel Partners. 7. How are investments collected? Returns delivered? Charleston Angel Partners investment returns are paid pro rata to investing members after deductions for transaction expenses and outstanding liabilities, including deferred compensation. The amount of any one transaction to be allocated to deferred compensation before return of capital is capped at 20%, so if the investors take a loss, the amount of the return would be further reduced by this hold-back. In the event of a large investment return, the actual percentage allocated to expenses would be much smaller. For profitable returns, there is also a 5% carried interest (after return of capital), which is paid to the Executive Administrator responsible for the deal. 8. How do companies typically spend their investment money? The use of funds in the majority of investments made by Charleston Angel Partners is allocated to help scale up a business: ramping up sales, operations, and enhancing product development. 9. How many pitches does Charleston Angel Partners see in a year? Charleston Angel Partners typically allow roughly 20 companies to present to the group each year. 10. Do I have to physically attend all pitch meetings if I’m an investor? No. Charleston Angel Partners members can view pitches remotely via webcam and view all due diligence materials online with a member login.